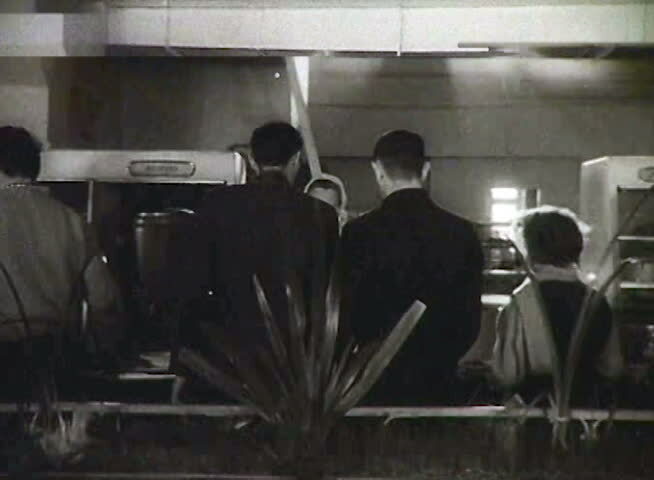 FORMER U.S.S.R. \x96 CIRCA 1950-1960: People eat in . Chronicle of the USSR. sd00:36CIRCA 1944 - Servicewomen board a transport ship and travel by train during World War 2.
sd00:451940s: Draftees wait, sleepy, smoking cigarettes, in a United States Selective Service Draft Board office, during World War II.